The Woolstons: One foot of snow. Alleluia. 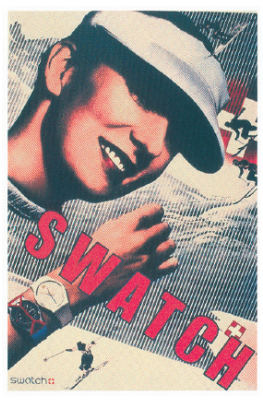 Oh look, Paula Scher's Swatch poster. Hopefully you skiers can get some fresh powder today. May your days be merry and bright! looks great and sassy. just like you. Becca, that site is awesome. You did a great job. love it!! can i put a widget on my blog? ?